Major League Baseball’s Seattle Mariners will host an Alice In Chains Night at Safeco Field on August 20 to help the band celebrate the release of their new album, "Rainer Fog." 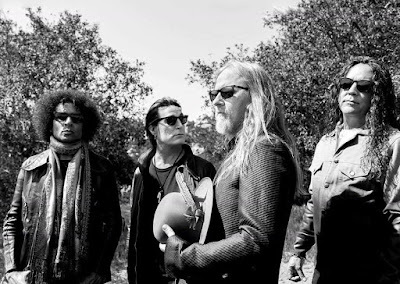 The baseball launch event takes place ahead of the August 24 release of “Rainier Fog” and the night before Alice In Chains will perform at the city’s White River Amphitheatre as part of a North American tour that begins in Vancouver, BC on August 22. The band recorded their first album in five years at studios in Seattle, Nashville and Los Angeles with producer Nick Raskulinecz. The set marks the follow-up to “The Devil Put Dinosaurs Here”, which debuted at No. 2 on the US Billboard 200 upon its release in 2013.